ENCINITAS — Longtime Encinitas watch manufacturer Nixon has teamed up with one of professional skateboarding’s first legacy teams to create a series of watches. The Bones Brigade is the moniker for one of skateboarding’s earliest superteams. An elite group of skaters hand-picked by Stacy Peralta, the latter half of Powell-Peralta, one of the biggest names in skating during the boom of the 1980s. The iconic skaters that led the Brigade include Tony Hawk, Rodney Mullen, Steve Caballero, Lance Mountain, Tommy Guerrero and Mike McGill. The watches used for the collaboration are Nixon’s best-selling Time-Traveller model, all stainless steel, with custom dials and the iconic graphics printed on each watches’ face. 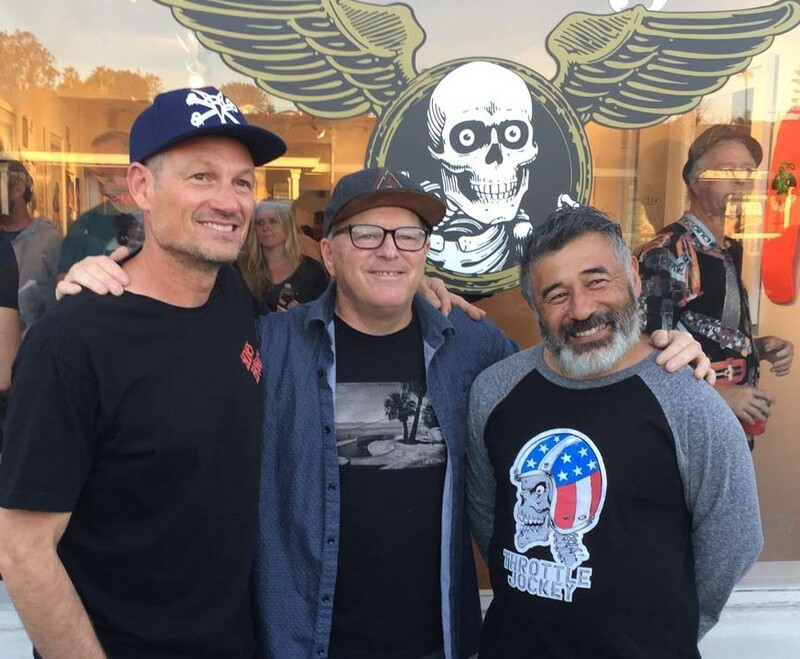 Several members of the Brigade, as well as longtime friends, fans and action-sports industry veterans celebrated the release April 15 at the Said Space gallery at 766 S. Coast Highway 101. Throughout his 30-plus-year career, original Brigadier Caballero has made a name for himself through his skating, but also through loyalty. To this day, he remains with the staple sponsors he’s been with for decades: Powell (they dropped the Peralta after the brand split) and Vans. Caballero recently moved from San Jose down to North County San Diego, where fellow Brigadiers Tony Hawk and Mike McGill also live. McGill runs his eponymous retail store in Moonlight Plaza. Brittain’s photos were on display at the Said Space event, alongside his honorary Bones Brigade board. Brittain’s work can also be seen next month in “The Art of Skate Photography” at Encinitas City Hall. 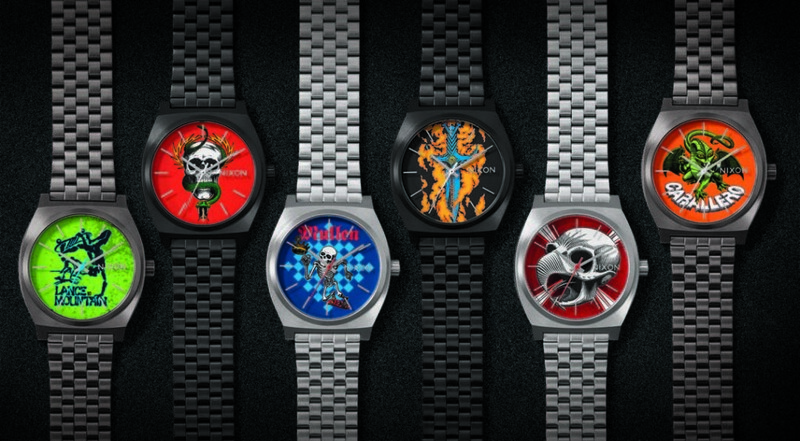 The Nixon X Bones Brigade watches retail for $125 apiece, or $800 for the boxed set.